As the end of the school year draws nearer, some will be getting ready to graduate from Kindergarten, High School, and College. This means friends, family members and acquaintances will be seeking gift ideas. Talk about being stressful because shopping for someone else is never easy. You never knows what will or will not be received well. Regardless of age, money is always appreciated, but not always available, so finding other gift options can be hard. Here’s a few ideas that might work well for you, or incite you to come up with something unique to give as a gift. Group party – This can be hosted by family and friends, so the whole cost of throwing a party doesn’t fall on one person. The cost of food, drinks, and desserts can be divide between all who are attending. This is also a great way to celebrate several little milestones if more than one person is moving on to a new grade. Instead of asking everyone to bring a gift, you could have a decorated jar so that anyone who wants to can drop in a dollar or two to be given to the graduate/graduates. This will give the young graduate an opportunity to spend the money on what he/she wants. By donating a dollar or two, it takes the pressure off buying a gift and is far cheaper. If the High School Graduate will be attending college you could have a college themed party and send out a list of gifts ideas under $50.00 that could fit nicely in a dorm or shared living space. If you aren’t sure what to buy, then try a gift card that way the graduate can purchase what he or she wants as it’s needed. Gift cards can be bought from just about any type of store, so you don’t have to limit the gift cards to just a certain type of shopping. When it comes to a buying for a college graduate your choices can vary towards adult gift ideas, such as a favorite bottle of wine, or a case of beer if that is something they’ll like. Of course alcohol isn’t the only thing a college graduate might enjoy. Something like a piece of inexpensive jewelry could go over well. You can shop at discount stores, pawn shops or jewelry store sales for something. Necklaces, bracelets, money clips, pen sets, tie clips, cuff links, and rings are a few suggestions to consider if shopping for jewelry. If you want them to see the significance behind the gift make sure there is some personal meaning attached. Another significant area to consider is in the line of work they are seeking. 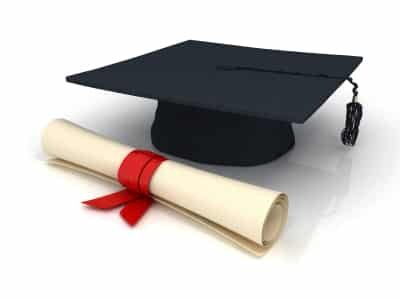 If they’re seeking a degree in medicine, try to purchase something in relation to that field, if seeking a degree as an accountant, again find something in that line of work and so on. If you can’t think of anything to give, then perhaps you could all pitch in a few dollars to go towards an expensive gift someone else is purchasing or if a party is being given for the graduate, suggest a money jar be set up and then everyone can chip in whatever amount of money they want or can give to the jar. A graduation is a day of celebration, no matter the age group. It doesn’t take a huge amount of money to buy a gift either. It’s more about taking part in that milestones in the graduates life. If a gift isn’t even doable for you, a well crafted poem enclosed in a card works just as well. It’s very personal and has a bit of you attached to it. This is something that could become a treasure to the person receiving it.